What is the definition of Lead? It is a soft, malleable, ductile, bluish-white, dense metallic element, extracted chiefly from galena and used in containers and pipes for corrosives, solder and type metal, bullets, radiation shielding, paints, and antiknock compounds. Lead is a relatively poor conductor of electricity. It is very resistant to corrosion but tarnishes upon exposure to air. The Physical and Chemical Properties are the characteristics of a substance, like Lead, which distinguishes it from any other substance. 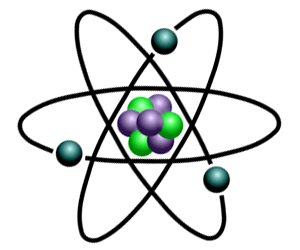 Most common substances, like Lead, exist as States of Matter as solids, liquids, gases and plasma. Refer to the article on Lead Element for additional information and facts about this substance. Lead Properties - What are the Physical Properties of Lead? Lead Properties - What are the Chemical Properties of Lead? Lead is a moderately active metal. It dissolves slowly in water and in most cold acids. It reacts more rapidly with hot acids. It does not react with oxygen in the air readily and does not burn.